May 7, 2017 May 7, 2017 theslowlanemeLeave a Comment on Why do we STILL have to raise awareness in 2017? Why do we STILL have to raise awareness in 2017? Because of ignorant comments like this that are said by people who have an outdated and harmful view of M.E. So despite the current restrictions of my health, I will be holding another Blue Sunday tea party, when I should perhaps be giving it a miss this year. The writer of those comments is sadly not alone. 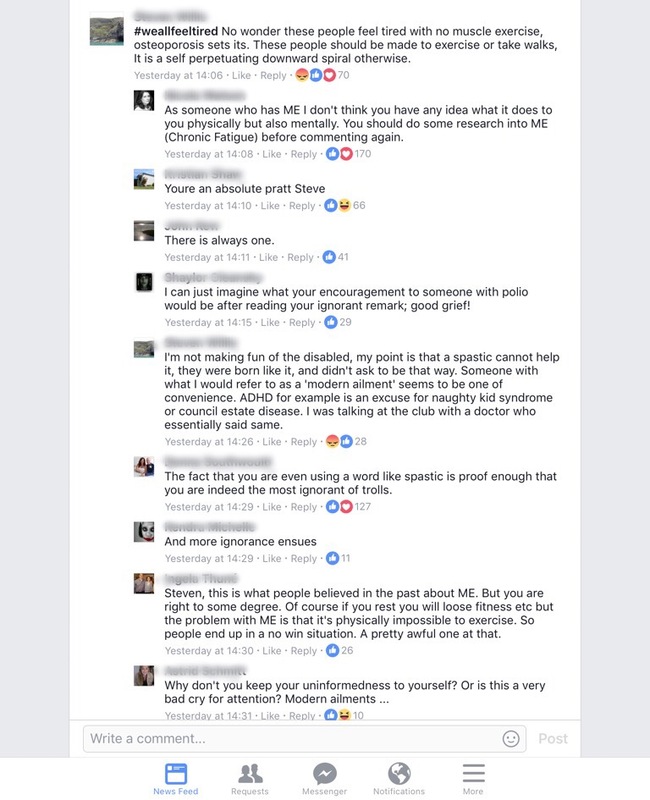 So many, TOO MANY people still have such ‘strange’ ideas about the illness that has wiped out me and my online friends. Such comments have been uttered to my family and to me in the past and they hurt and frustrate us to our core. Would such ridiculous comments to made to sufferers of other illnesses? Comments like these are the reason why campaigns like #MillionsMissing have my full support. If we do not try to educate these people they will remain ignorant. 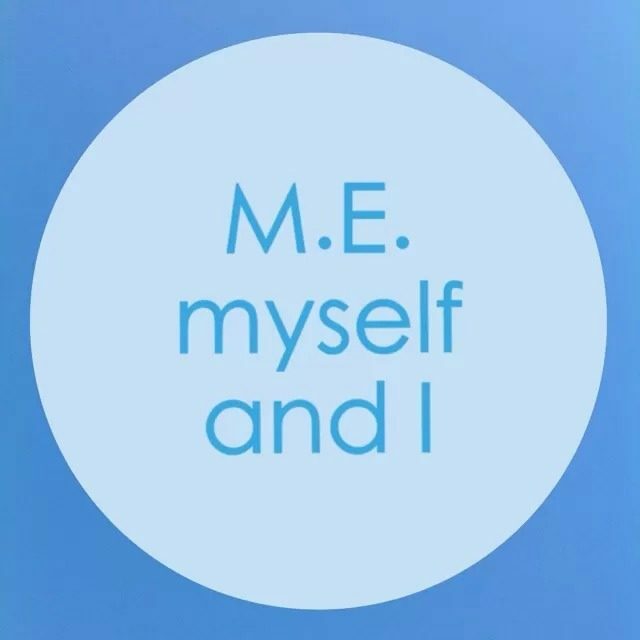 So many M.E. sufferers are simply too ill to do this, and so I shall continue to do it for them, in the small ways that I can, through my blog and through my tea parties. So yes, each May I may irritate you with Facebook posts that thrust my reality down your throat, leaving you irritated and perhaps uncomfortable. But I’m afraid that’s just tough luck. I shall continue and I hope I never stop, even if my progress continues and the memories of being so ill back in those Dining Room Days become more distant.